If-else statement is decision-making statement. if-else statement is an extension of if statement. We try to understand the if-else statement using a real-life example. Suppose, you want to go to Bangalore from Delhi, to reach Bangalore you have two ways either you will go through flight or by train. You cannot use both flight and train at the same time. When your passport, flight tickets, identification id will appropriate then you will get a flight but if any one of the things is missed then flight may be missed. Now, what’s the next option you will go by train. 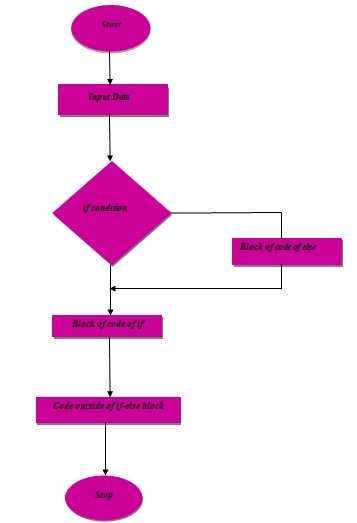 From this example, you can understand that if all conditions are full-filled then the statement attached with that condition will execute otherwise other option will choose. Similarly, for the if-else statement, when if-condition is true then the block of code with if condition will execute otherwise block of code of else will execute. 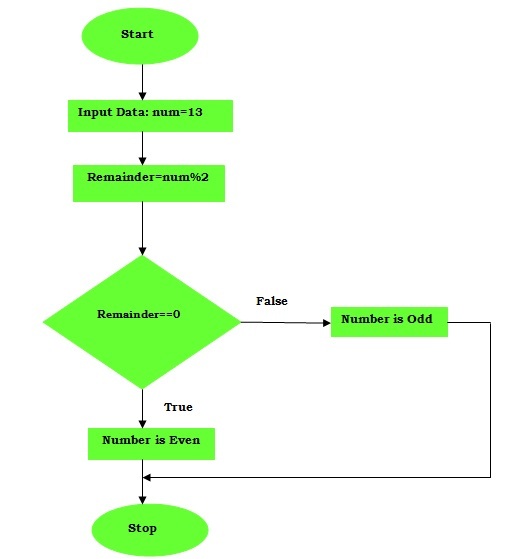 Program 1: Write a program to find out the given number is odd or even. To find out the given number is even or odd. That number is divided by 2. After division, if the remainder is zero then that number is even otherwise odd. Step3: Number is divided by 2. If the remainder is zero then the given number is even else given number is odd. 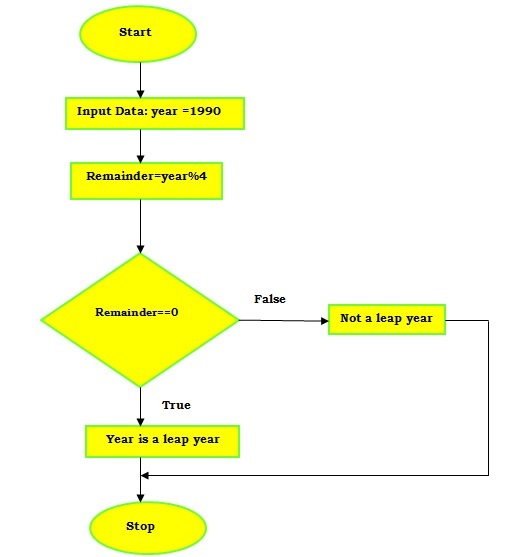 Program 2: Write a program to find out the given year is a leap year or not. A year is considered a leap year when it is divided by 4. When the remainder is zero it is a leap year otherwise it is not a leap year. 1990 year is not a leap year. Step3: remainder = year % 4. If the remainder is equal to zero then given year is a leap year. Else given year is not a leap year. 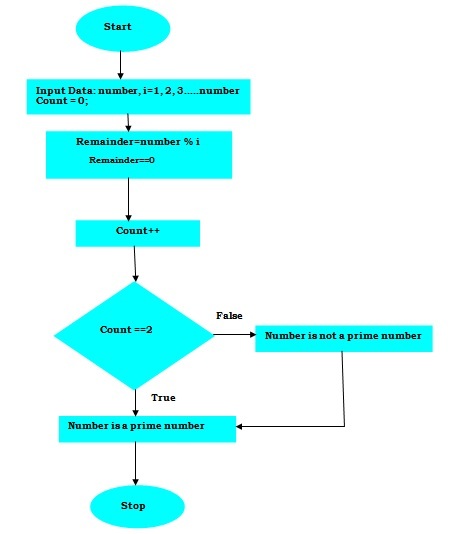 Program 3: Write a program to find out the given number is prime or not. Those number which is divided by 1 or itself are prime numbers. For example: 2, 3, 5, 7, 31, 19 etc. Step3: If a number is divided by 1 and itself then given number is prime number otherwise. Program 4: Write a program to find out given number is palindrome or not. A number is said to be palindrome when it is reversed it always occur same. When we reverse it, we occurred the same number. So, 16361 is palindrome number. If we reverse 163 then we get 361. So, 163 is not a palindrome number. 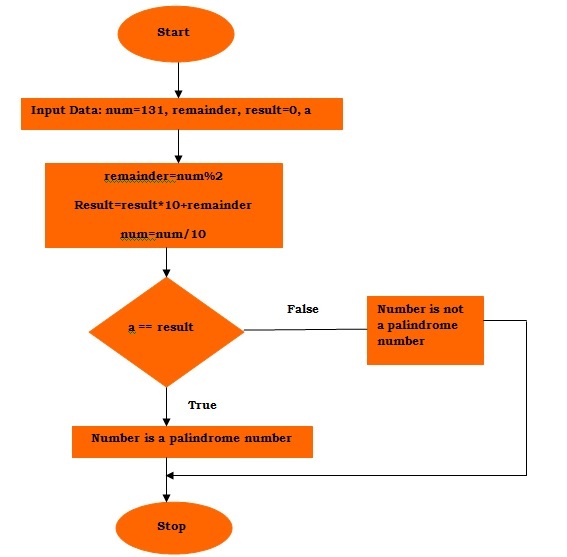 Step2: Input Data: num = 131, remainder, result=0, a.
Step4: if enter number is equal to output then that number is palindrome otherwise it is not a palindrome number. 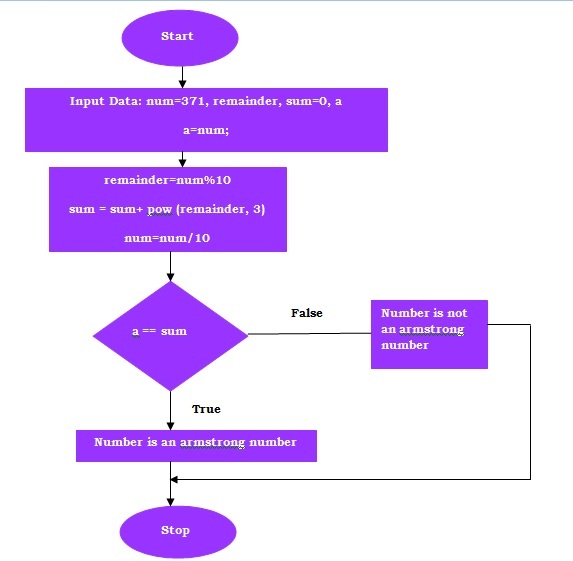 Program 5: Write a program to find out given number is Armstrong or not. A number is said to be Armstrong number when the sum of cube of each digit is equal to the number itself. Because, 36 is not equal to 123, so it is not an Armstrong number. Step4: When the sum of cube of each digit is equal to the entered number then that number is Armstrong number otherwise not an Armstrong number.